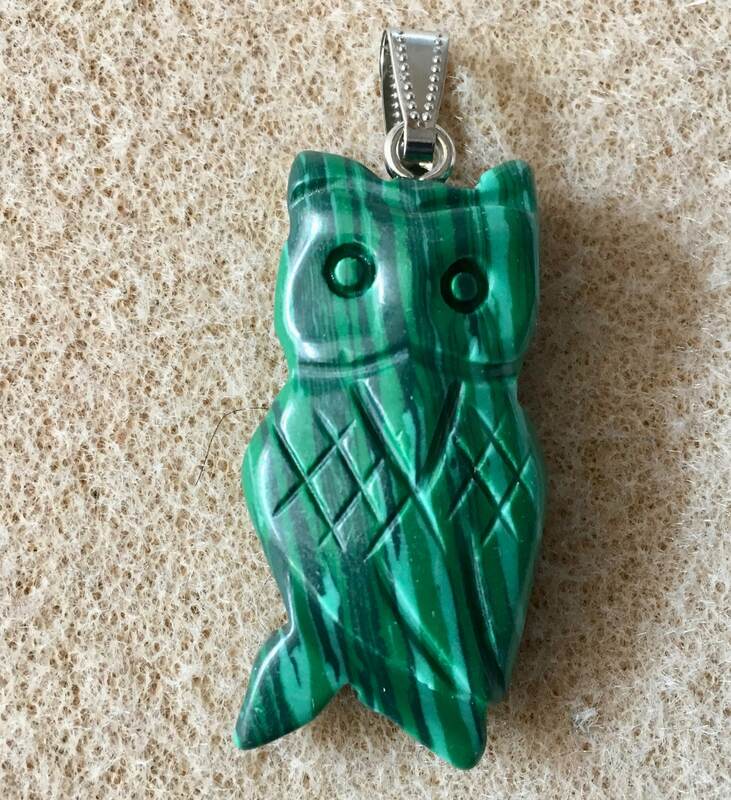 Beautiful imitation malachite owl pendant, double sided, with bail. Size: 43mm x 22mm. You will receive one pendant. 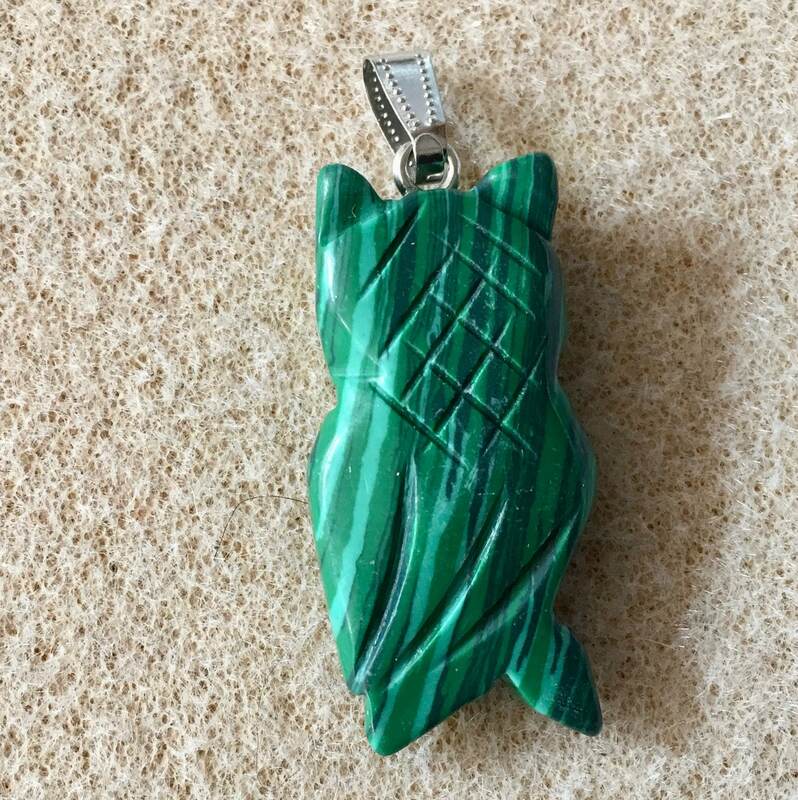 Although this is NOT malachite, it has pretty banding similar to the real stone. Very nice piece.